The most secure infrastructure in the industry. SD is the only business aviation provider offering the technology, assessment, training, and support to address end-to-end cyber security. The most comprehensive and secure infrastructure in the industry. There is much more to an in-flight connectivity solution than the airborne piece. There is everything that happens on the ground side too. SD has invested more into Network Infrastructure than any other provider. 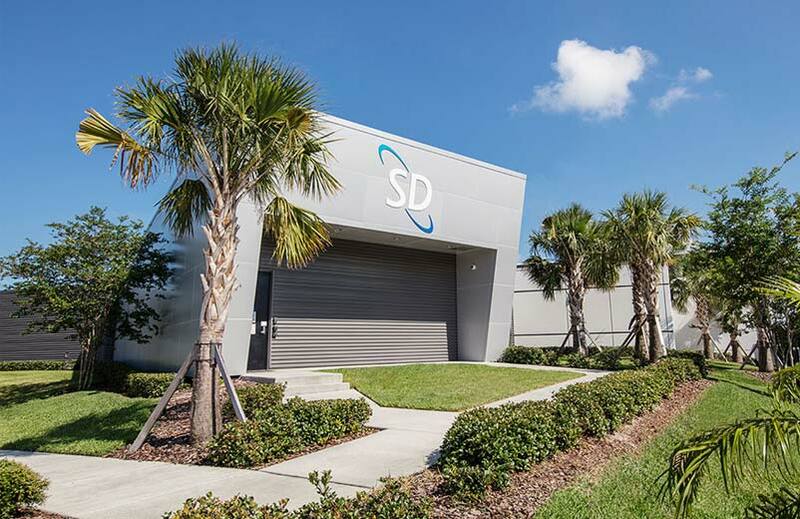 At the head of it is the SD Data Center – the only wholly-owned data center in business aviation. We also operate our own worldwide POPs, which form the backbone of our ground infrastructure. SD does not outsource this critical step because third parties do not understand the unique requirements of aviation. SD’s infrastructure investment means your connectivity services are richer, faster, and more reliable. Beyond that, when you use the SD Private Network, your data traffic never touches the public internet. It is completely protected end-to-end. The information you need to be an expert – all free with no obligation. Contrary to popular opinion, being in a business aircraft does not exempt you from a cyber threat. Even if you are in the air, if you can see the internet, then hackers can see you – and that means you are vulnerable. Educate yourself on the cyber security landscape, the most common threats, and how to safeguard your data. Watch the video, read the whitepaper, and sign up to be the first to get newly-released information. No strings attached. The unfortunate reality is that it’s not a matter of if a breach will occur but when one will occur. Luckily, when it comes to cyber security, there are several quick fixes you can easily implement today – and SD can help. A simple, 12-question self-assessment followed by a free, no-obligation phone consultation with SD’s cyber security team. After a comprehensive onsite visit to your facility, we provide a full report on the state of your current security practices along with actionable improvement recommendations. A subscription-based service where we provide real-time in-flight monitoring of your data traffic against a host of potential threats, block them before they ever reach your airplane, and help you identify the root cause. The ultimate in aviation cyber security, the SD Private Network routes data traffic from your airplane back to your corporate HQ, while remaining encrypted and without ever touching the public internet. Register and be the first to receive new information on cybersecurity from SD. Learn about the growing storm of cyber threats facing business aircraft today. Addressing cybersecurity in business aviation requires the latest technology paired with the right procedures – and only SD offers both.